"Things go awry for our authorities." Corruption, the enrichment of the ruling elite, impoverishment of people, lack of reforms, and the pressure and interference of the authorities in the work of the newly created anti-corruption bodies (NABU, NAPC, SAP) and the delay in setting up the Anti-Corruption Court, are the main reasons for the US slashing assistance to Ukraine, is, says the leader of the Justice Movement Valentyn Nalyvaychenko,. "Unfortunately, I have predicted what has happened and what the corrupt Ukrainian authorities failed to hear: the United States is cutting financial assistance to Ukraine under USAID programs. I have warned about this in December last year, but the authorities traditionally turned the deaf ear. The authorities not just failed to heed to my advice but also actively denied it through their lackeys and bots," the politician wrote on Facebook. Despite the America-centricity of the policy of the new US President Donald Trump and the global reduction of American financial aid to other countries, the reason for the reduction of aid to Ukraine has its specific reasons: the rise of political corruption, enrichment of the ruling elite, impoverishment of people, lack of reforms. "These factors were supplemented by the pressure and interference of the authorities in the work of the newly created anti-corruption bodies (NABU, NAPC, SAP), the protractions with the creation of the anti-corruption court. The case of [the former fiscal chief] Nasirov which the authorities spare no efforts to bust up proved very indicative for the US. 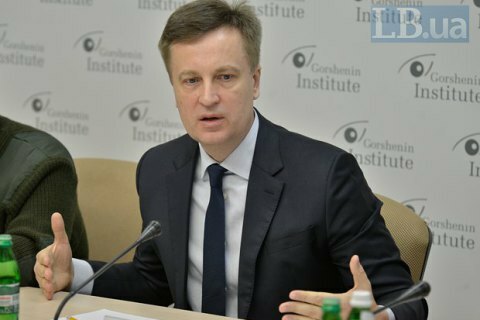 Our partners are closely following the developments in other high-profile cases and investigations in Ukraine," stressed Nalyvaychenko. He recalled that initially the US authorities have previously drastically reduced the military aid to the Armed Forces of Ukraine in their defence budget, but that failed to become a wake-up call to the Ukrainian government. "Things go awry for our authorities and international pressure will grow in proportion to Ukrainian government's reluctance to stop plundering its own people and lying," the Justice Movement leader wrote in conclusion.